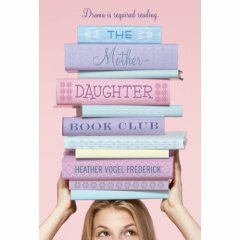 When a group of mothers who happen to take a yoga class together decide to form a mother-daughter book club, their daughters become unwilling participants. All the more so, because they come from different sides of the tracks. But as they explore Louisa May Alcott's classic Little Women together, they discover more about each other and themselves. It all wraps up with a too-good-to-be-true happy ending. Charming but forgettable. Large sections of the book are entertaining but there isn't much substance here and the plot is fairly predictable. The ending, as I've already noted, ties things up way too nicely and you get a bit of a sense of being cheated by the lack of true payoff. There's a place for books like this (light easy read for the 9-12 age crowd), but it's the literary equivalent of Burger King.